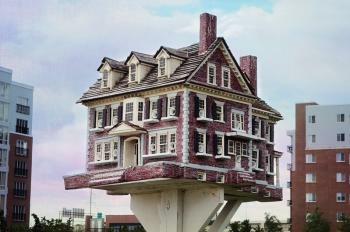 Delaware Is “For the Birds” … Literally! Each May, birders find a peak concentration of shorebirds at Bombay Hook National Wildlife Refuge, which is an important stop for thousands of migrating shorebirds as they make their critical trip north to breeding grounds. This nearly 16,000-acre refuge is on the western coast of the Delaware Bay and incudes a visitor center, 12-mile auto tour route, observation towers and five walking nature trails. 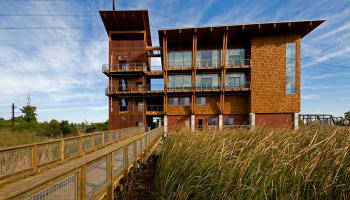 This four-story nature center is located in the 212-acre Russell W. Peterson Urban Wildlife Refuge, where the city, river and marsh meet. 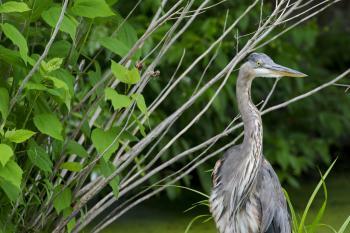 Visitors can explore the marsh searching for ospreys, great blue herons, eagles and other creatures. The education center offers programs and activities including kayaking, canoeing and daily nature walks. 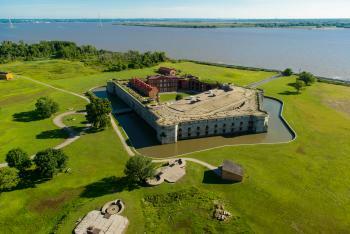 Situated on the southern half of Pea Patch Island, Fort Delaware is a moated Civil War fort. On the opposite side, at the island’s northern tip, visitors can find the largest mixed rookery of herons and egrets anywhere on the East Coast. The island is a 10-minute passenger ferry ride from Delaware City. Though there is not public access to the immediate nesting area, an observation platform provides a great view of the birds’ comings and goings. This 860-acre county park is among the best places around to spot migrating songbirds. 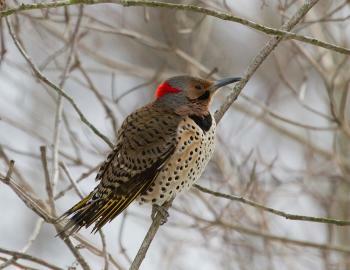 Along its one-mile trail – through meadows, forests and thickets – birdwatchers have spotted more than 170 species. Middle Run offers bird walks and other experiences, including taking care of baby birds; photographing birds in bird boxes; and creating nest boxes, feeders and treats for birds. If you don’t get a chance to visit during the migration path, don’t worry; there are plenty of year-round birding experiences in Greater Wilmington & the Brandywine Valley. The Delaware Museum of Natural History in Wilmington features a “Hall of Birds” display. Ranked in the top 15 in the United States for its collection of birds, the museum’s bird department houses more than 113,000 bird specimens, including 36,000 egg clutches and about 6,000 mammals. And if you find yourself strolling along the scenic 1.3-mile Wilmington Riverfront, be on the lookout for houses fit for the birds. Dozens of masterpiece bird houses designed by Wilmington resident Thomas Burke line the river walk. These whimsical birdhouses, modeled after such iconic homes as those found in local artist Andrew Wyeth’s paintings, can also be found at various locations in the Wilmington area, including at BBC Tavern & Grill, Buckley’s Tavern and Kid Shelleen’s Charcoal House & Saloon.